Sports museums are for the enthusiast and also for the curious too. So no matter if you are a massive football fan or an avid tennis player London's museums will have something for you. 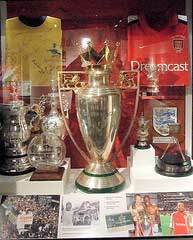 London currently has six museums dedicated to sport. They range from world famous football clubs and internationally renowned sporting events to perhaps lesser known sports and clubs. Browse through the list below to read more about our museums. The Wimbledon Lawn Tennis Museum showcases not only one of the Oldest tennis clubs in the world but also celebrates the world famous Wimbledon Tennis championships which is now in its 126th year. 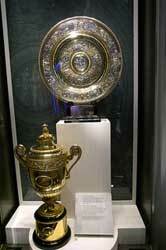 The museum has items not only from the clubs history but also explores the world of tennis and it's begiinings. To find out more about this museum please visit this page. Housed in the world famous Lords cricket ground this museum diplays items from the world of cricket and the 140 year old MCC club. Amongst some of it's prestigeous items is The Ashes, which every cricket buff knows is the holy grail of cricket trophies. The stuffed Sparrow which was unfortauntely 'bowled out' by Jehangir Khan in 1936. 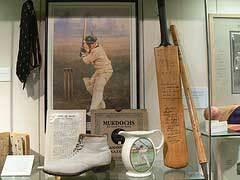 The museum also has a theatre, where visitors can see footage of some of the greatest cricket performances in history. £7.50 for adults and £5 conc. The Arsenal Football club is one of London's top teams and as such thier fans like to visit the ground between matches to find out more about the teams history. The Museum also has an impressive Legends Theatre and a dozen fully interactive sections. Here the visitor can experience many of Arsenal's most outstanding players and managers, as well lerning more about the clubs history in all it's previous locations. Sports museums such as this are a football fans must see. Chelsea Football club is world famous and as such have fans all over the world. This year 2012 will see the opening of their new museum at their ground. It will of course be very modern and have many interactive displays which will help to bring to life the clubs history. A interactive Shooting Gallery allowing the visitor to learn how to perfect goal scoring techniques. The museum describes itself as a fun and educational must see London attraction. 10.30am - 5pm (Last entry 4pm). Museum will be open on match days but opening hours will vary depending on kick off time. The World Rugby Museum formerly called 'The Museum of Rugby' opened in 1996. The museum describes itself as " the ultimate visitor experience for the world rugby enthusiast". It is based in Twickenham which is the home of the England rugby team and has the best collection of rugby memorabilia in the world. 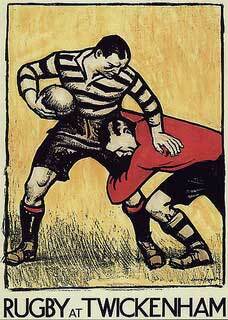 The museum is not just a static collection of artefacts but is also takes the visitor on an inspirational trip through the history of Rugby. The collections consists of over 10,000 rugby related items. This is more than a rowing museum. It consists of four permanat galleries and a specail exhibition area which cahnges on a regular basis. E.H. Shepard's famous book is brought to life using 3-D models of his original illustrations. The exhibition transports visitors on a journey through the whimsical world of The Wind in the Willows. The gallery looks at the river as an inspiration for the arts, as a habitat for wildlife and as a source of pleasure and trade. 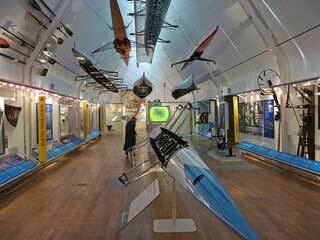 The gallery tells the story of international rowing via exhibits and interactions allowing the visitor to experience rowing for themselves. The Henley Gallery tells the story of the town built by the river. Covering all of its colorful history. Hope you have enjoyed this sports museums in London page. If you know of other sports museums in London please let us know. Use our Contact us link.